The heartbreaking end of an era — and the inspirational dawn of a new one! As the events of CIVIL WAR II come crashing down around Tony Stark, what exactly is Victor Von Doom up to amid the chaos? 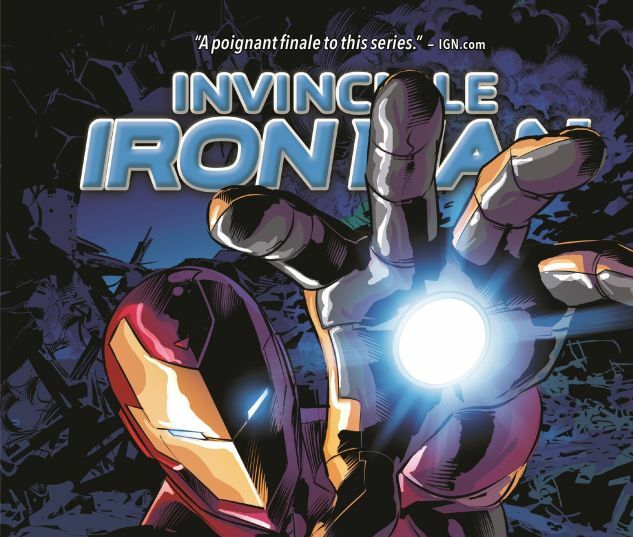 And when hostilities cease, could this be the end of Iron Man as we know him? 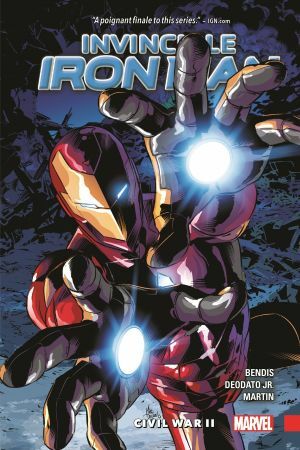 A blistering new chapter in the Iron Man mythos will begin in the wake of the war's shocking climax when a young woman answers the call. Riri Williams will don the armor — but what is her surprising relationship to Tony Stark? The Marvel Universe will never be the same! Plus, a classic showdown for the ages between Iron Man's Mighty Avengers and the diabolical Doctor Doom! Collects Invincible Iron Man (2015) #12-14, Mighty Avengers (2007) #9-11.